Welcome to Storage Fit LLC (the "website"). This website is provided solely to assist customers in gathering information about self storage, determining the availability of self storage units plus related goods and services, making legitimate reservations, or otherwise transacting business with self storage space suppliers, and for no other purposes. The terms "we", "us", "our" and "Storage Fit LLC" refer to "www.storagefit.com" and/or our subsidiaries. The term "you" refers to the customer visiting the website, mobile site and/or booking self storage unit reservation(s) through us on this website, via phone, and/or through our agents. If you make a reservation or otherwise transact online with Storage Fit LLC, you will safeguard your login information and will supervise and be completely responsible for login by anyone other than you. We retain the right at our sole discretion to deny anyone access to this website and the self storage units we offer, at any time and for any reason, including, but not limited to, for violation of this Agreement. Storage Fit LLC’s mobile site is provided in the same way, for the same purposes, and under the same conditions as the website. By accessing or using the mobile site in any manner, you agree to be bound by the Agreement. If you do not accept all of these terms and conditions, please do not use the mobile site. Storage Fit LLC shall have no liability whatsoever in respect of the call recordings and their contents, including any personal information provided by you or commentary made by you. 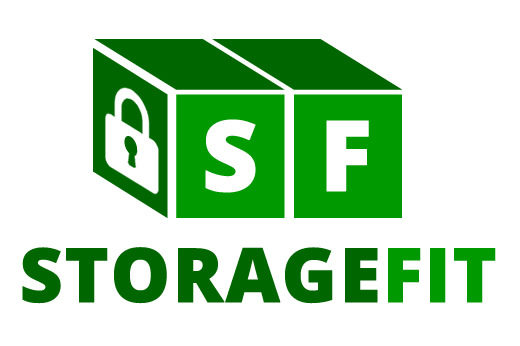 Storage Fit LLC trademarks, service marks, graphics and logos used in connection with this website are trademarks or registered trademarks of Storage Fit LLC or Storage Fit LLC’s licensors. Other trademarks, service marks, graphics and logos used in connection with the website may be the trademarks of other third parties. Your use of the website grants you no right or license to reproduce or otherwise use any Storage Fit LLC trademarks or third-party trademarks. You agree to defend, indemnify and hold harmless Storage Fit LLC, its contractors, and its licensors, and their respective directors, officers, employees and agents from and against any and all claims and expenses, including legal fees, arising out of your use of the website and services, including but not limited to out of your violation of any representation or warranty contained in these Terms and Conditions.